11 december 1890 is the birth date of one of the most emblematic personalities in the history of tango - singer and composer Carlos Gardel, author of a number of well known tangos, who made tango popular around the world with his singing and his starring in big Hollywood productions. 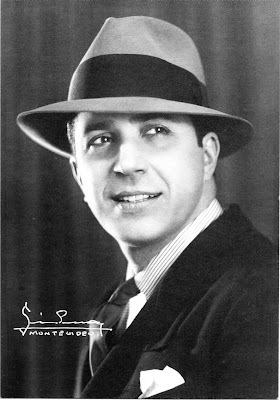 On this same day, but 9 years later, in 1899, another famous tango figure was born - violinist and composer Julio De Caro, one of the greatest innovators in the history of the genre who introduced arrangment in tango music and created the so-called Decarean school - the base of the education of most tango musicians and composers today. 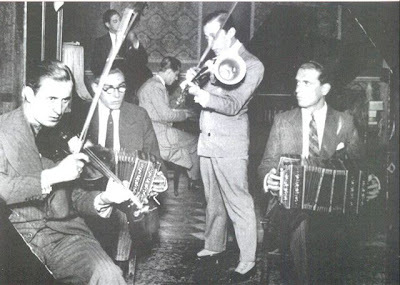 Taking into account the importance of this date in the history of tango, in 1977 11 december was proclaimed as the National Day of Tango in Argentina. Following the growing popularity of argentine tango around the world, many aficionados in other countries began paying tribute to this date and the "Tango Day" gained worldwide recognition.